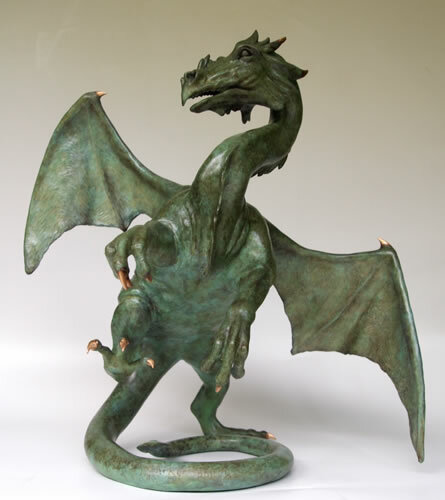 It was whilst studying art at South Wilts Grammar School in Salisbury that Gill was first introduced to sculpture. 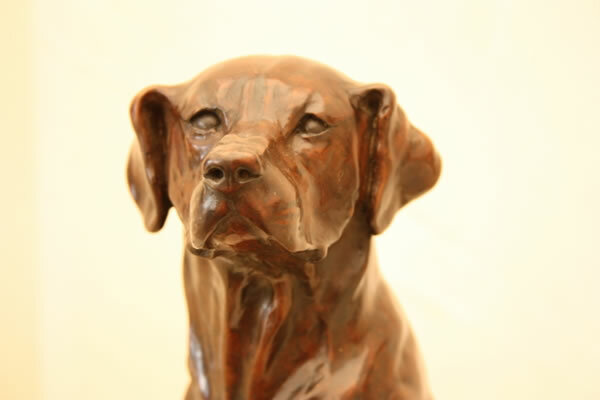 Choosing not to go into further education, she tried several career paths, before taking up sculpture again. 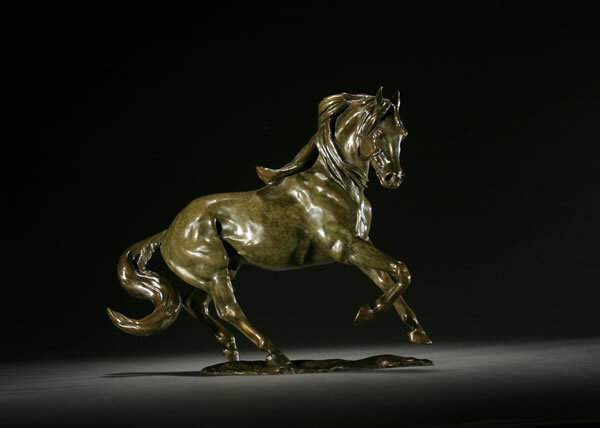 In May 1983 Gill took her first bronzes to London where they were bought by Garrards and Asprey. 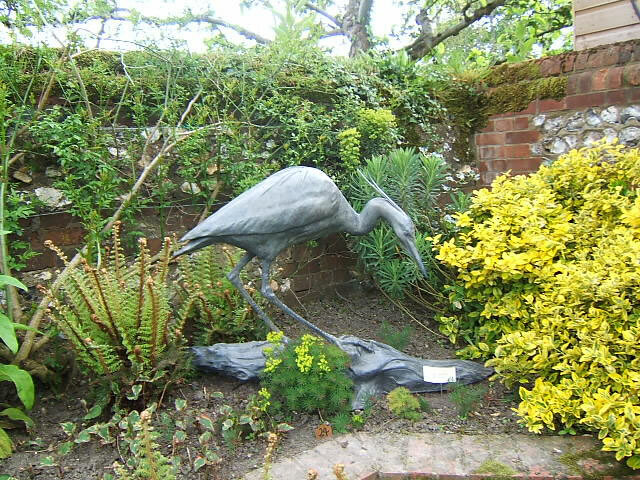 Early support and encouragement from the Sladmore Gallery led to her first one women show in November 1984. 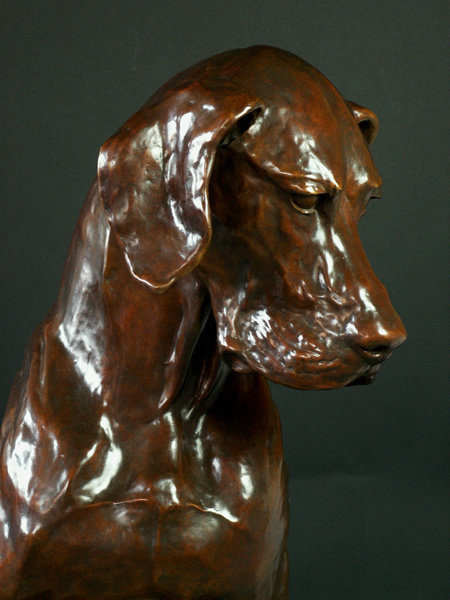 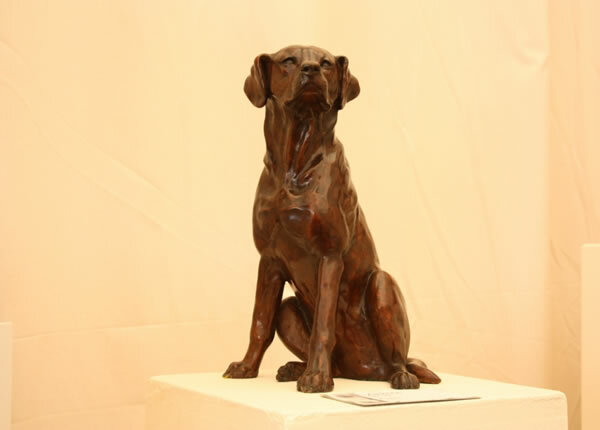 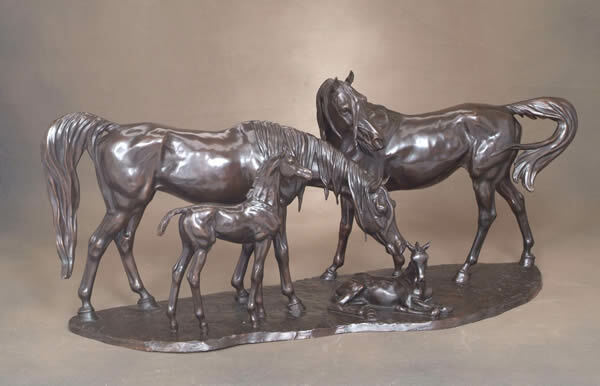 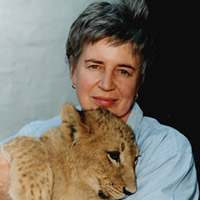 Since then she has become a leader in the field of equine and wildlife sculpture. 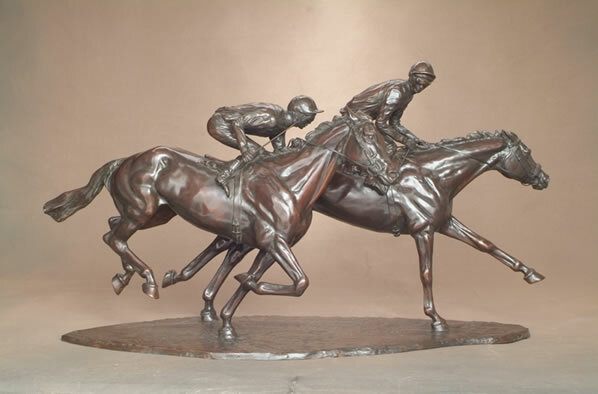 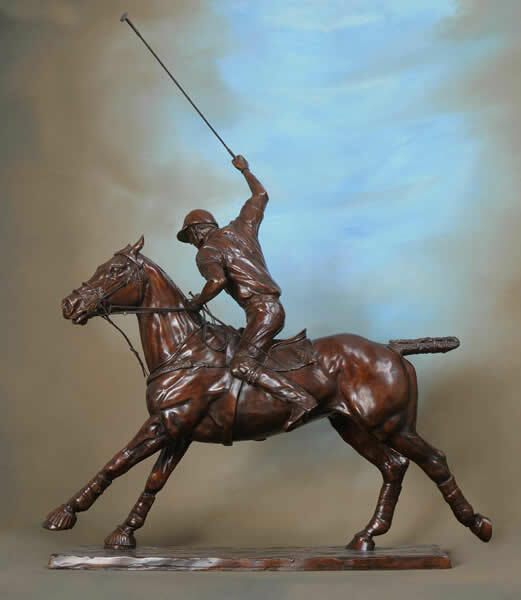 With many major commissions to her name including the life size bronze Motivator at Ascot Racecourse. 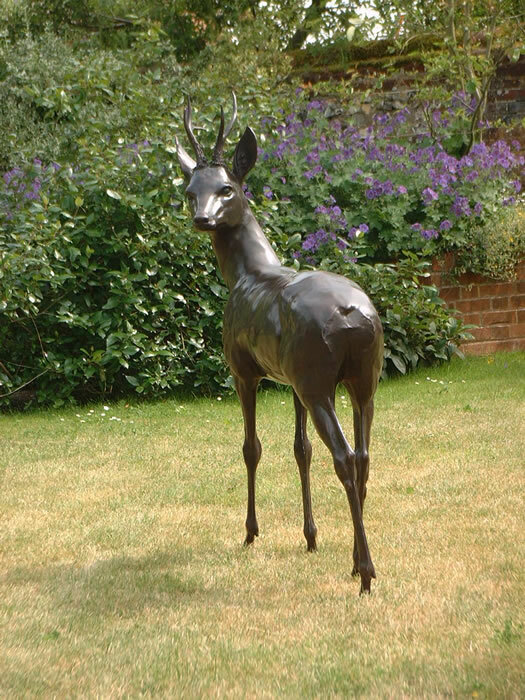 Gill’s sculpture is eagerly sought by art collectors around the world and is in many public and private collections. 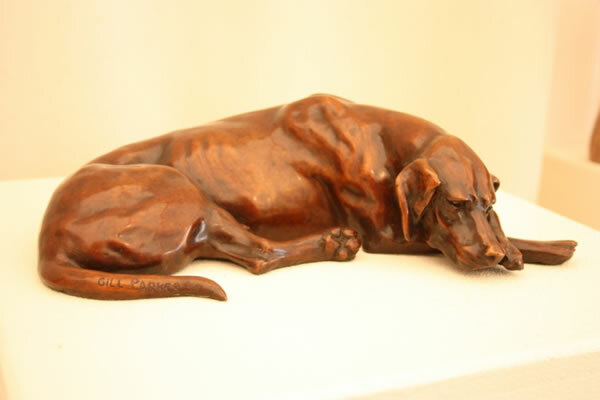 Gill lives and works in a beautiful part of rural Gloucestershire, along with a various assortment of animals. 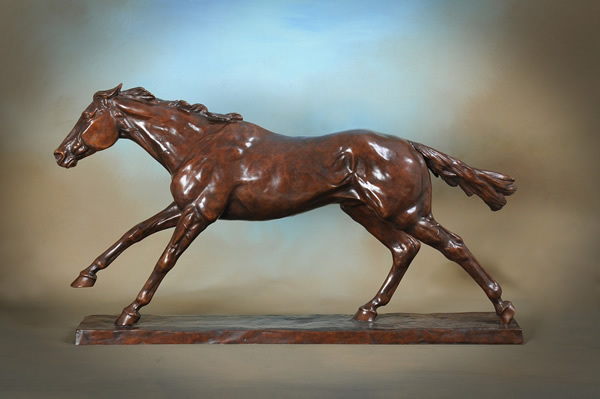 Gill also breeds and shows American Quarter Horses with which she has won numerous European and National championships.